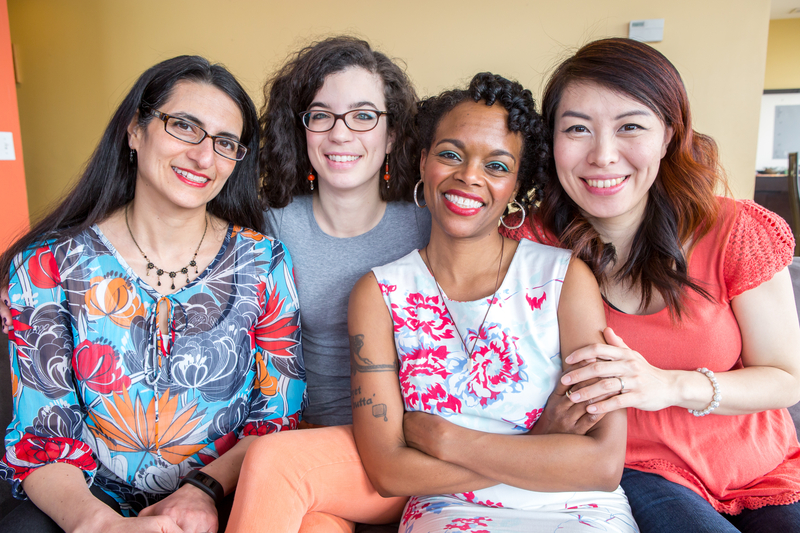 Get connected to activities in the Chicago Bahá’í Community. Unsure where to start? Check out some descriptions below. Of course we do a lot of other community activities, so if you want to reach out directly about something not listed below, please email chicago.bahai.bicentennial@gmail.com. If you are interested in activities at the Baha’i House of Worship in Wilmette, please visit https://bahaitemple.org. Devotional meetings spring up naturally in a community where a conversation about the spiritual dimension of human existence is growing. In diverse settings, Baha’is and their friends and families unite with one another in prayer. There are no rituals; no one individual has any special role. Meetings consist largely of reading prayers and passages from the Bahá’í sacred texts in an informal yet respectful atmosphere. A spirit of communal worship is generated by these simple gatherings, and this spirit begins to permeate the community’s collective endeavors. You are welcome to join us at one of the following locations and encouraged to contact the event organizer for more details. Rogers Park – Please contact Danika Amusin at danika.k@gmail.com. Lakeview – Please contact Shiva Arami at shivaarami@yahoo.com. Bronzeville – Please contact Adeeb Zaer at afzaer@gmail.com. A study circle is a small group that meets, usually in the home of one of its members, to study the course materials. Anyone, whether a Baha’i or not, is welcome to take part. Tutors do not hold any special status. They are simply those who are further along in their study of the materials and they strive to create an atmosphere that encourages individuals to assume ownership for the educational process in which they are engaged. A study circle should be a space that leads to the spiritual and moral empowerment of individuals. If you are interested in participating in a study circle near you, please contact Anahita Shaeri at abshaeri@gmail.com. Friends and neighbors are invited into intimate home settings to learn about the Baha’i Faith, explore its core principles and how such principles can be applied to the may challenges facing our common humanity. In these small settings people can ask questions and explore spiritual concepts together. 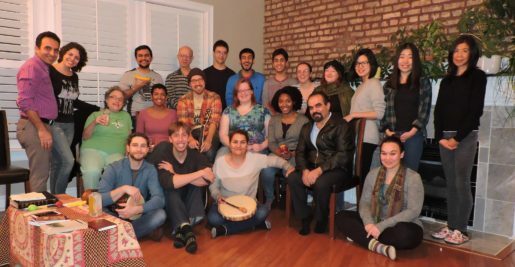 Rogers Park: Gathering for youth to learn more about the teachings of Bahá’u’lláh and how to translate them into service for the betterment of the world. Please contact Noah Hamilton at ‭(785) 220-5007 or wordsaresounds@gmail.com for more information. Hyde Park: On the 3rd Friday of each month. Please contact Roya Ayman at ayman.roya@gmail.com for more information and the location. Baha’is see the young as the most precious treasure a community can possess. In them are the promise and guarantee of the future. Yet, in order for this promise to be realised, children need to receive spiritual nourishment. In a world where the joy and innocence of childhood can be so easily overwhelmed by the aggressive pursuit of materialistic ends, the moral and spiritual education of children assumes vital importance. If you or your child (and their friends!) are interested in participating in or starting a children’s class, please contact Chelsea Munion Loghmanee at chelseamunion@gmail.com. Worldwide, junior youth are participating in an endeavour that strives to give them a voice in today’s society. These junior youth groups are enhancing their power of expression, sharpening their spiritual perception and allowing them to analyse the constructive and destructive forces of society. The participants of this group are junior youth between the ages of 12 and 15. There are multiple aspects of a junior youth group that contribute to moral and spiritual empowerment. One aspect of the group is to study text which includes stories of junior youth around the world, another is to do selfless acts of service. If you or your junior youth (and their friends!) are interested in participating in or starting a junior youth group, please contact Adeeb Zaer at afzaer@gmail.com.